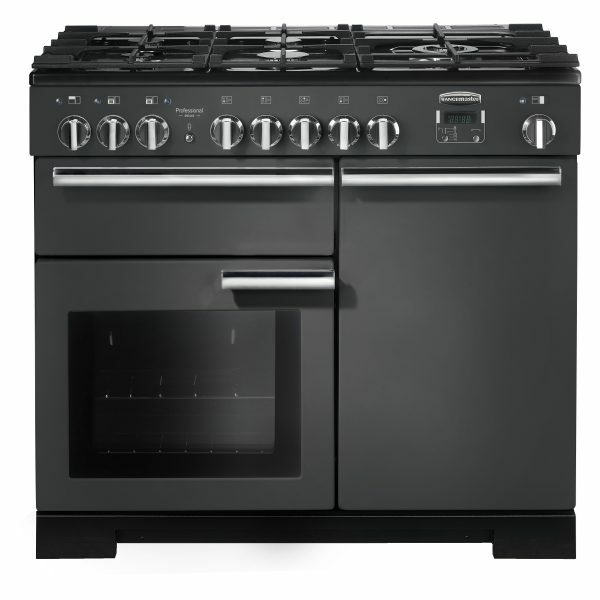 This Range Cooker has five burners in four sizes which also includes a triple ring wok burner. Plenty of room for your pots and pans. It has a large 81 litres capacity for the large multifunction oven and 69-litre capacity for the tall oven. The Rangemaster Pro Deluxe 100 has the glide-out-grill. The left-hand oven oven has eight settings including the Rapid Response function.